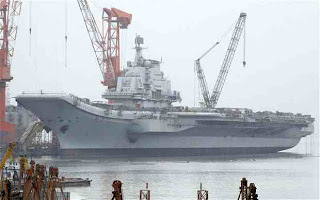 Inauguration of China's first aircraft carrier by President Hu Jintao who is, as well, chairman of the Central Military Commission. The vessel has been renamed from its provisional name Varyag to LIAONING 辽宁, thus referring to China's Liaoning province where it has been completed in the seaport of Dalian. Yesterday, September 20, People's Network quoted Peking Evening News with an article on China's first aircraft carrier "Varyag 瓦良格" and dealt with the question of who might be the new commander of that vessel. The aircraft carrier was originally built in the former Soviet Union from 1985-1991 but remained uncompleted. In 1998 it was sold by Ukraine without its original engines and after being disarmed for U.S.$ 20 million to China. In the following years it has undergone extensive overhaul and modernization, making it a modern style carrier that already caught the attention of U.S. authorities. The U.S. came to fear it as an example of China's modernization of its armed forces even before the carrier was finally completed. 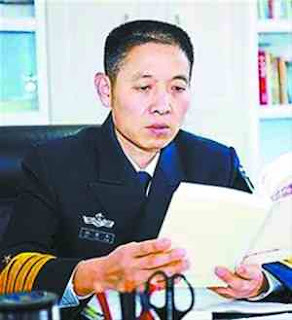 Now, we hear that a certain Bo Yao Ping 柏耀平 should be commander of China's first aircraft carrier, a man who joined the armed forces at the age of 24 when he became known as an outstanding fighter pilot. What the Liberation Army is building up on the "Varyag" [in terms of military strength] is [sufficient to] prepare the recapture of Diaoyu Island. Technical data: The "Varyag" should have a tonnage of 57.000 tons, its overall length being 304 m at the level of its flight platform and 281 m at water level. The vessel's maximum width should be 70.5 m.
As to the notorious island dispute between China and Japan, China is still determined to defend its territorial rights. Japan's "first occupation" of Diaoyu Island is in reality [an act of] stealing it. 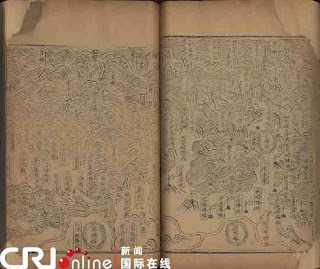 September 17 saw masses in the National Library in Beijing who were looking at documents from ancient books referring to Diaoyu Island. 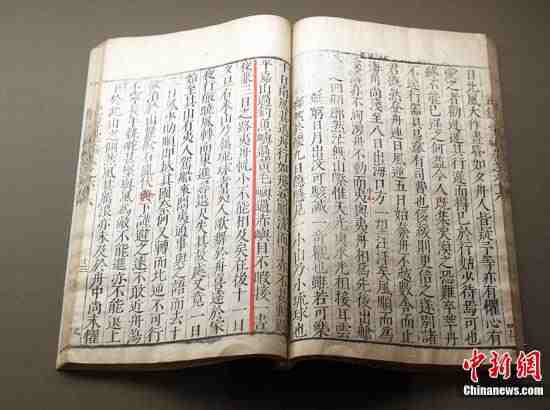 On that day, the National Library held a "presentation on the condition of documents stored in the library and referring to Diaoyu Island". The carefully chosen material from the library's [archives], laid open to the media, contained ten sorts of reliable editions of old books, territorial maps and press publications that have a bearing on Diaoyu Island and its attached islets (in short called Diaoyu Islands). 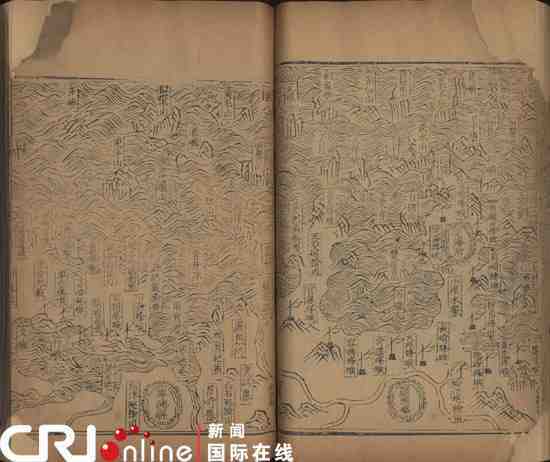 A large number of historic documents are proving, China had discovered Diaoyu Island in early 15th century, at the latest, and regarded it as a [group of] islets attached to Taiwan and being subject to its jurisdiction. [Diaoyu Island] became part of China's territory as belonging to its coastal areas and territorial seas which make up for [China's] maritime defence area, [therefore] being absolutely not a "no man's land". In 1885, [when] the Japanese Meiji government undertook an investigation to put vigorous restrictions on county authorities, it considered [Diaoyu Island] an uninhabited island. Later in 1895, [they] annexed it into their territory. The Japanese side secretly changed their concept and replaced the name "uninhabited island" by "unruled island". Their way of naming what they call the basis of the "first occupation" principle to gain Diaoyu Island's sovereign rights is a simple historical lie. Regardless of Japan stealing China's territory Diaoyu Island at the end of the 19th century, there was another U.S.-Japanese illicit transfer underway regarding Diaoyu Island in the 70th era of the 20th century. 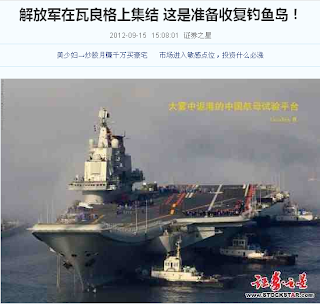 All that cannot possibly change the fact that Diaoyu Island belongs to China. Some additional historic information referring to Diaoyu Island can be found on another blogspot of mine. My collection of opinion from China might be interesting as well as news about China's maritime surveillance fleet. 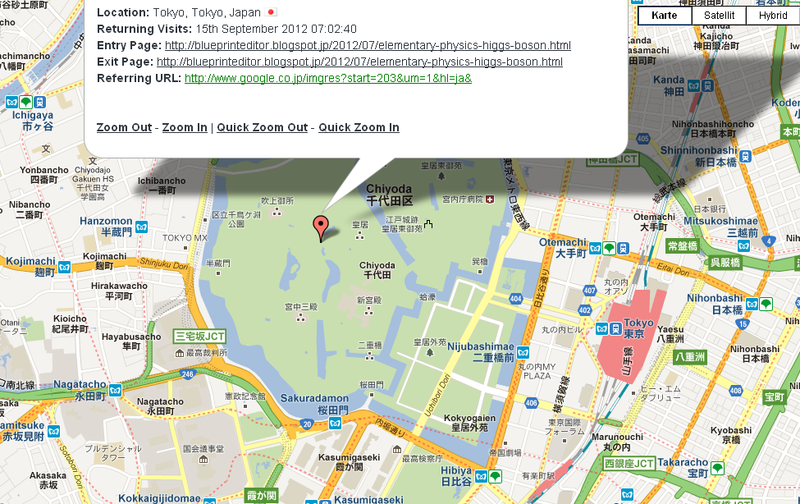 For further news reports search the archives of my blog. Chiyoda City 千代田区 is a special ward in central Tokyo dominated by the Imperial palace (below) and hosting government administrations like the prime minister's residence and some embassies. Island Dispute - Japan Ready For War ?